In the 1520s the Spanish crown began to realise through expanded explorations of the likes of Hernando Cortez and Francisco Pizarro that it was in charge of an enormous empire requiring extensive settlement and systems of control. Royal mints were founded to control, evaluate and tax gold and silver coming from the mines, as well as to produce the coins needed for everyday commercial transactions. 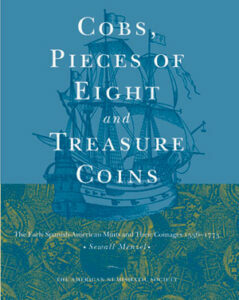 For some 250 years the mints churned out millions of cob-style coins, many of which found their way into the treasure galleons of the day. Soon mints such as Mexico and Potosi became known as the financial ‘pillars of empire’ and enabled Spain to engage in seemingly endless wars of conquest and plunder. Geography, crown intransigence, bureaucratic incompetence, royal intrigues and outright scandal all had an impact on the mints and their productions. 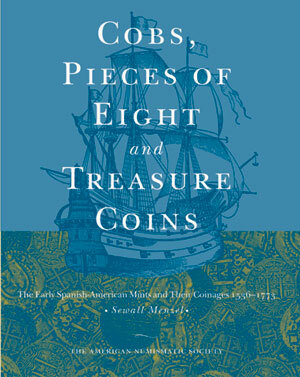 In this comprehensive and fully referenced study, Sewall Menzel brings out the critical detail and information needed to understand the ten early Spanish mints of Mexico, Santo Domingo, Peru, Potosi, Panama, Santa Fe de Nuevo Reino (Bogota), Cartagena, Cuzco, Guatemala and Cuba and their respective coinages. Through the use of some two thousand photos and diagrams the coins are identified by mint, king, denomination, mint assayer and type.